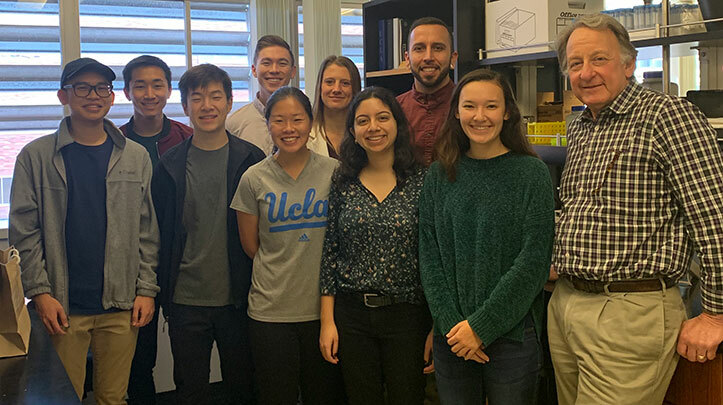 These researchers received grant funding from the American Hearing Research Foundation in 2019. Read about their studies. The goal of this research is to develop gene delivery vectors that robustly target cell populations within the inner ear. Using the adeno-associated virus (AAV) and a gene therapy approach, we seek to improve the effectiveness of hearing rescue in animal models, which could eventually lead to human treatments. 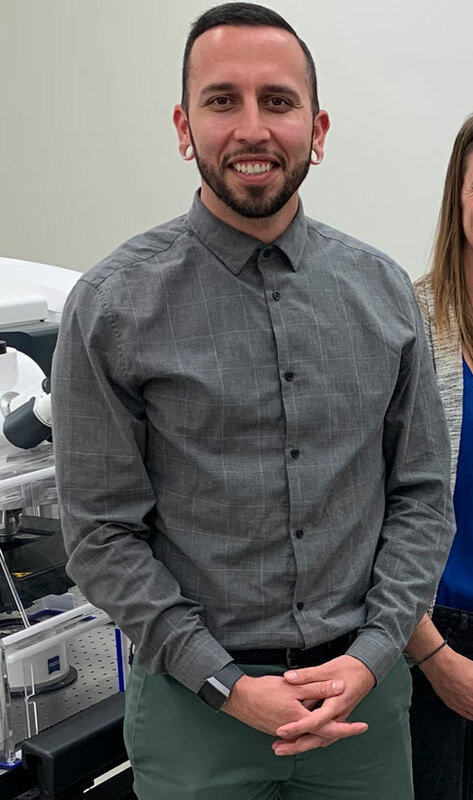 Charles Askew, PhD, is a Postdoctoral Fellow in the Gene Therapy Center at UNC Chapel Hill where he develops strategies to restore hearing using AAV vectors. 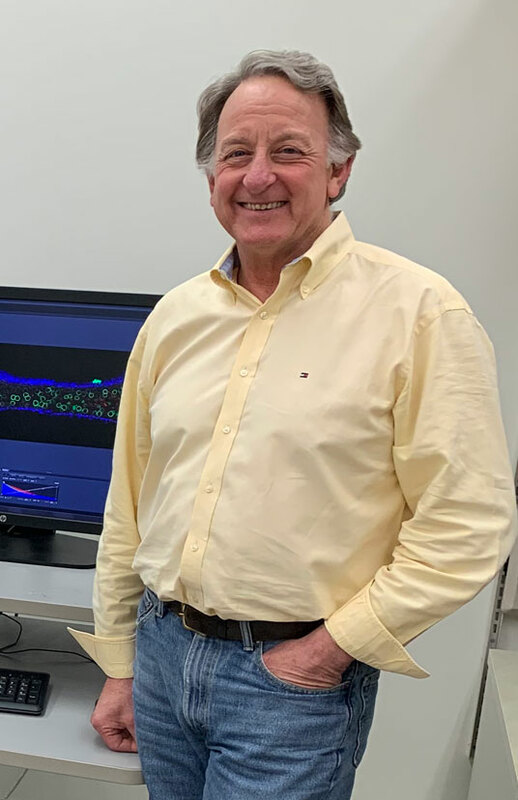 Askew earned his PhD in neuroscience at the University of Virginia and Harvard University while studying the physiology of sensory hair cells in the inner ear, proteins involved in hair cell mechanotransduction, and restoration of mechanotransduction using gene therapy. He earned a BA in the Biological Basis of Behavior at the University of Pennsylvania, where he became devoted to auditory research after his mother developed severe hearing impairment that eventually required cochlear implants. Charles is also supported by a Pfizer-NC Biotech Distinguished Fellowship in Gene Therapy while being mentored by UNC Associate Professor, Chengwen Li, MD/PhD. Inherited hearing loss affects approximately 1 in 1,000 children in the United States, including 16,000 to 20,000 people with combined deafness and blindness known as Usher Syndrome. Unfortunately there are no biological or targeted drug therapies currently available to treat genetic deafness. However, in 2017 the FDA approved the first gene therapy for direct administration into the retina, Luxturna, which is capable of restoring vision in patients going blind due to Leber Congenital Amaurosis. This treatment is mediated by corrective gene delivery using recombinant adeno-associated virus (AAV), a non-pathogenic and non-integrating viral vector. The focus of this proposal is to develop AAV vectors capable of robust gene delivery in the inner ear, and to investigate restoration of auditory function in mouse models of human deafness using a corrective gene addition approach. Balance disorders are a major risk factor for injurious falls in older adults. This research will use new ways of testing the vestibular system, which is a major contributor to balance, that will further our understanding of age-related vestibular changes and may improve our ability to detect dysfunction. 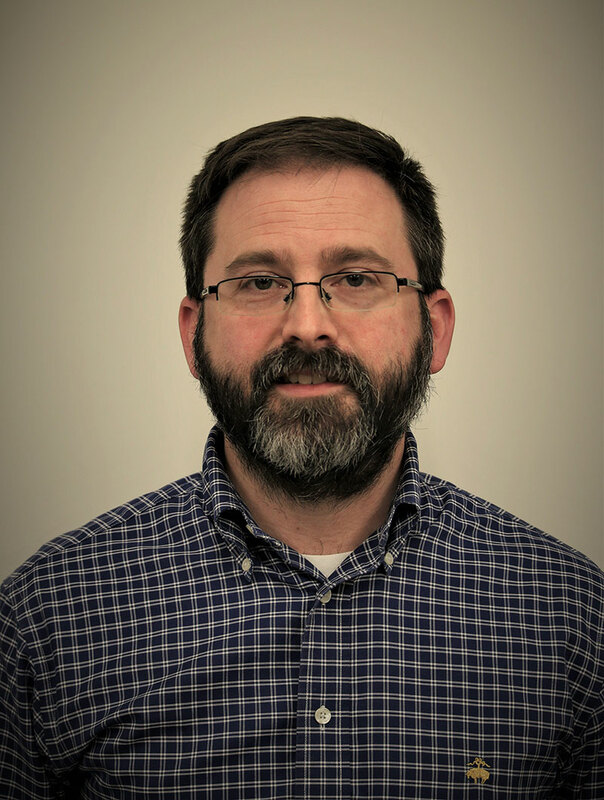 Chris Clinard, Ph.D., CCC-A, is an Associate Professor in the Department of Communication Sciences and Disorders at James Madison University, where he directs the Auditory Perception and Physiology Lab. Clinard’s research focuses on effects of aging on the auditory and vestibular systems. He earned his Ph.D. from the University of Washington and his M.A. in Audiology from the University of Tennessee. 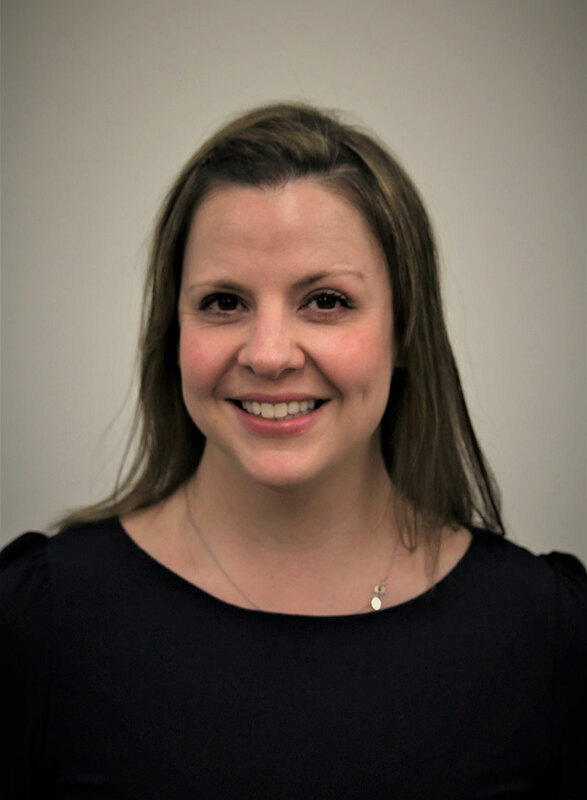 Erin G. Piker is an Assistant Professor in the Department of Communication Sciences and Disorders at James Madison University, where she directs the Vestibular Science Lab. She earned her AuD and PhD in Hearing Sciences from Vanderbilt University. Her research focuses on vestibular physiology and risk of falls in aging adults. Falls are a major public health problem as they are the leading cause of injury in older adults. One of the best ways to prevent a fall is to identify risk factors. One of the most frequently used assessments is the vestibular evoked myogenic potential (VEMP). Cervical VEMPs (cVEMP) are recorded from the sternocleidomastoid muscle of the neck and are recognized as a measure of the functional integrity of an otolith organ, the saccule, of the inner ear. The proposed research will use novel stimuli and analyses to define previously untested characteristics of cVEMPs, including how longer-duration sounds reflect sustained neural activity. In addition, these physiological responses will be analyzed to see if they predict risk of fall factors in older adults. The expected outcomes from the proposed study will provide valuable information regarding the bases for dizziness and risk of falls in older adults by assessing vestibular function using a more efficient mode of stimulation, a novel stimulus, and novel analyses. The results will have a positive impact on understanding age-related changes in the vestibular system. To address the clinical problem of hearing loss following radiosurgery of vestibular schwannoma (a benign tumor on the balance and hearing nerves of the inner ear), this study will look for a radiation dosing protocol that will maximize control of schwannoma and minimize radiation injury to adjacent normal Schwann cells. 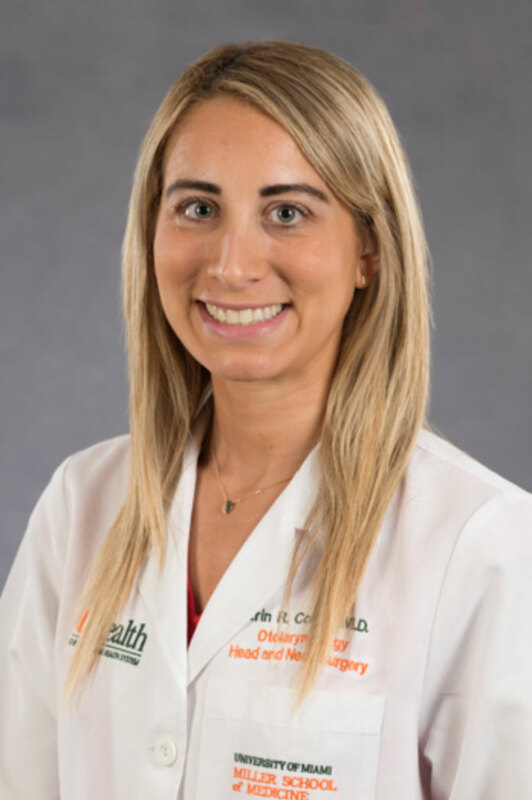 Erin Cohen, PhD, received her medical degree and is now a resident in Otolaryngology at the University of Miami. 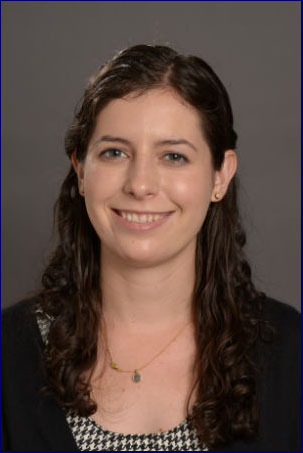 Her interest in otology/neurotology is leading her to investigate the molecular mechanisms of radiation resistance in normal and merlin-deficient Schwann cells during her dedicated research time in the PGY3 year. Sporadic vestibular schwannoma (VS) are non-cancerous tumors at the base of the skull that grow along nerves important for hearing and balance. These tumors can cause progressive hearing loss and disabling imbalance. When they grow, these tumors can compress important structures such as the brainstem. Sporadic VS are generally treated with radiation or surgery. Although treatment with radiation can prevent the growth of a majority of small to medium-sized tumors, radiation to nearby structures, such as the inner ear and nerve of hearing, can lead to progressive hearing loss. While a lot is known about radiation injury in cancer, how radiation affects the biology of sporadic VS and adjacent normal tissues is unknown. To develop new ways to preserve hearing in patients with sporadic VS, we need to understand how radiation affects these tumors and normal nearby structures, in particular Schwann cells that are important for keeping nerves healthy. In this research project, we will study how radiation affects merlin-deficient Schwann cells (“tumor cells”) and normal Schwann cells. We will do that by investigating: (1) how radiation injures DNA and mechanisms that cells use to repair DNA damage to evade radiation toxicity, (2) whether radiation can initiate cell death or activate pathways that prevent cells from growing, and (3) best radiation strategies are not detrimental to normal Schwann cells but also cause cell death of tumor cells. We hope our research will provide us the knowledge that we need to improve treatment and preserve hearing in patients with VS.
Our team is creating a biocompatible implant for targeted delivery of therapeutics to the inner ear, the primary objective for which is the preservation of hearing and balance in individuals undergoing chemotherapy. We hope to diminish devastating side effects that oftimes accompany chemotherapy. 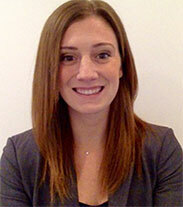 Ashley Kita, MD is a Resident Physician in UCLA’s Department of Head and Neck Surgery. She studied Engineering at UC Berkeley and has been fascinated with translating engineering tools to powerful clinical applications ever since. She developed a point-of-care device for diagnosing cerebrospinal fluid leaks that is currently undergoing clinical validation and patented a device to grow blood vessels in vitro. She is excited to continue working with multidisciplinary teams to create impactful biotechnology in the future. 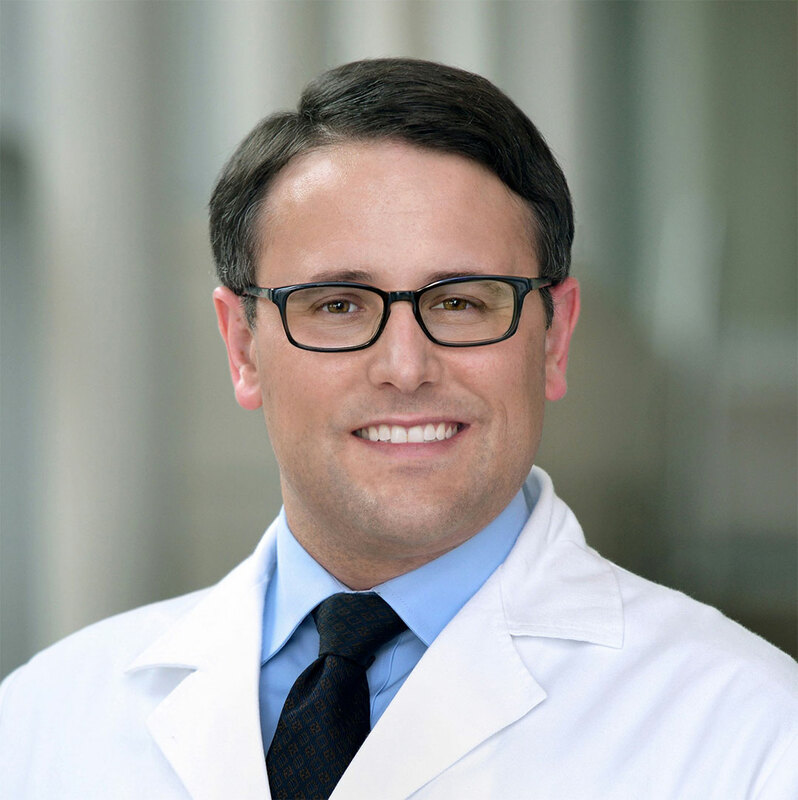 Johnny J. Saldate, PhD, is a Postdoctoral Scholar in the Department of Head and Neck Surgery at the Geffen School of Medicine at UCLA. He has strong research interests in understanding how cellular- and circuit-level mechanisms influence synaptic physiology. Johnny received his MS and PhD in Neuroscience from the University of Michigan Medical School. He has received several honors and awards for his work and published in multiple peer-reviewed journals. Larry Hoffman, PhD, is Adjunct Professor in the Department of Head & Neck Surgery, Geffen School of Medicine at UCLA, and a member of the Brain Research Institute. 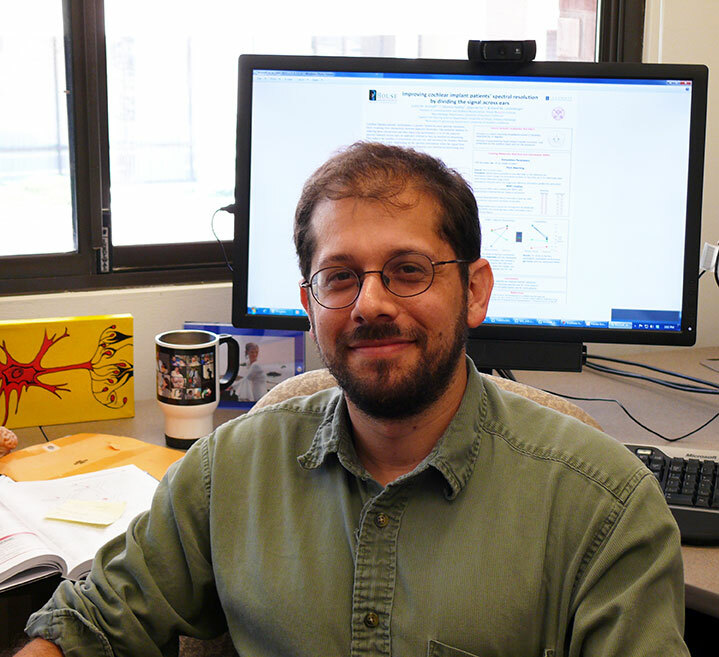 His research is focused upon how head movements are coded into spiketrains transmitted by afferent neurons, the cellular factors responsible for this coding, and how they are modified by various natural and pathogenic conditions. Of particular interest are the synaptic modifications induced by differences in the sensory environment (e.g. head kinematic behaviors) as well as those induced by ototoxicity. While a powerful treatment modality for individuals with a variety of cancers, chemotherapy often has the undesired side effect of irreversibly damaging the inner ear organs responsible for hearing and balance. In an effort to protect inner ear tissues during this vulnerable time, we aim to create implantable scaffolds capable of secreting otoprotective medications for the duration of a two – three month course of chemotherapy. We will be testing key pharmacotherapies with capabilities for protecting both hair cells and neurons that are susceptible to stress induced by many chemotherapeutic agents. Through measuring delivered medication secreted from impregnated scaffolds in an in vitro cell-based assay, then locally via the round window in an in vivo model, we hope to determine and attain therapeutic concentrations of this medication within the inner ear. This would thus allow us to preserve hearing and balance in individuals exposed to chemotherapeutics. Increasingly, hearing loss has been linked to risk of dementia, depression, and other diseases that diminish quality of life. We will explore the feasibility and value of adding a computer-based screening tool that assesses cognitive impairment to the hearing clinic setting. 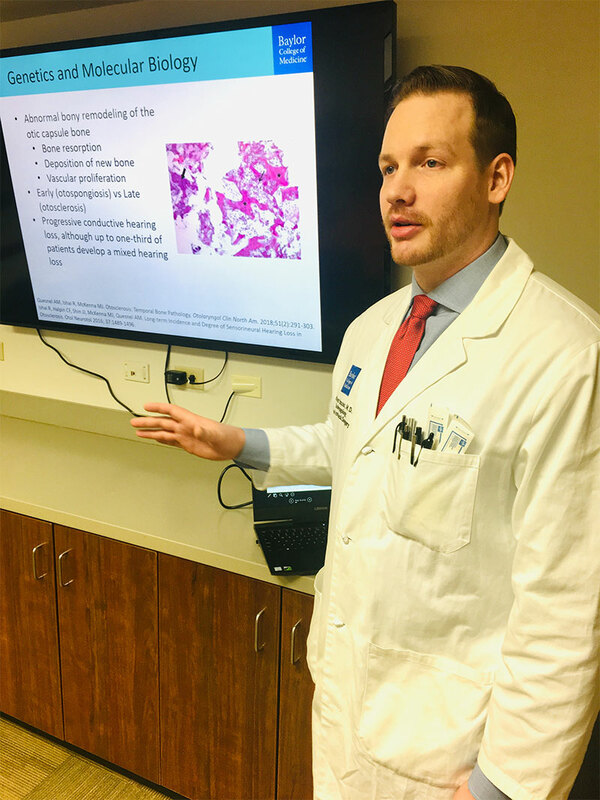 Nathan Lindquist, MD, is a resident physician in the Department of Otolaryngology—Head and Neck Surgery at Baylor College of Medicine in Houston, TX. He earned his MD at Saint Louis University School of Medicine. For this project, Assistant Professor Alex D. Sweeney, MD, Baylor College of Medicine, serves as advisor. Severe-to-profound hearing loss in adults has been linked to an increased risk of dementia, depression, social withdrawal, and decreased quality of life (QOL). While the relationship between cognition and hearing loss is increasingly recognized, screening tests for executive function of the brain are potentially time-intensive and underutilized in clinical practice. Recently, computer-based screening tools have been developed and validated as rapid, sensitive, and specific tools for the assessment of cognitive impairment. We believe that such tools could be an efficient method of incorporating cognitive testing into a patient population with hearing loss. We plan to study the feasibility and utility of incorporating such a test into clinical workflow at a tertiary referral center. Ultimately, we hope to contribute to the ongoing study of the relationship between hearing and cognition. Many hearing assessment tests rely on whether or not a patient speaks English or a limited number of other languages commonly spoken in the U.S. This study looks at whether a non-linguistic test can serve as a proxy for traditional speech perception testing, which would improve care for diverse populations. 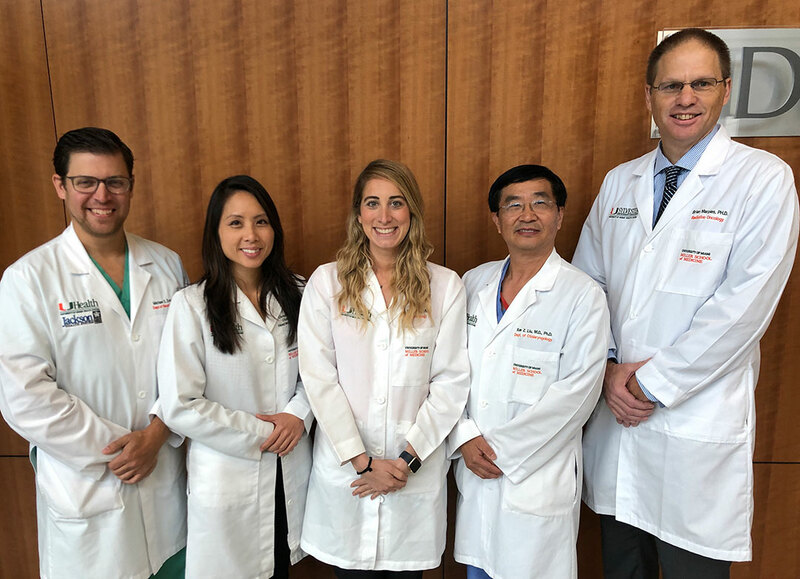 Elise Lippmann, MD is a resident physician in the Department of Otolaryngology-Head and Neck Surgery at the University of Illinois at Chicago. She earned her MD from Loyola University Chicago-Stritch School of Medicine and received a BS in Biochemistry from the University of Wisconsin-Madison. Speech perception tests are an important part of hearing assessment and can guide treatment recommendations. However, the number of languages spoken by patients in many clinics far exceeds the number of languages for which reliable speech perception tests are available, thereby limiting clinicians’ ability to care for their diverse population. The Spectral-temporally Modulated Ripple Test (SMRT) assesses a person’s ability to distinguish between different non-linguistic sounds and has been found to predict performance on speech perception tests for cochlear implant patients. The goal of our study is to extend previous results and determine if SMRT can serve as a proxy for speech perception testing for a patient population with a large range of hearing loss. If so, it would provide a means to accurately assess a large range of patients, regardless of their native language. To test this, in this study we will have native English speaking participants with various levels of hearing loss perform both traditional speech perception testing and SMRT. If there is a reliable correlation between the two tests, it would indicate that SMRT can help clinics who serve a diverse patient population. If deafness exists before a child acquires speech and language (typically age 3), the lifetime costs to society exceed $1 million per child, according to the Mohr (2000) study. The goal of this multi-disciplinary project is to replicate this study, and extend it by following children with cochlear implants. 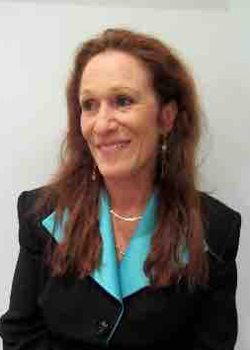 Dr. Alexandra L. Quittner, Senior Scientist with Nicklaus Children’s Research Institute, has been a professor and behavioral scientist for 30 years. 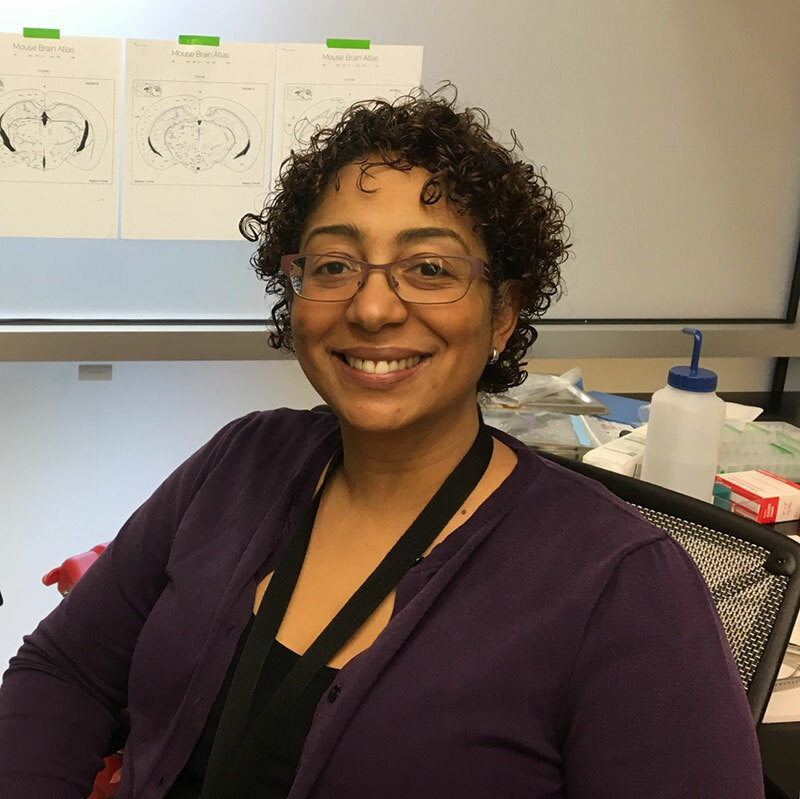 She is currently a Co-PI on the Childhood Development after Cochlear Implantation (“CDaCI”) grant and was one of the original PIs on this project since 2002. Throughout her career, she has conducted clinical research in childhood development and chronic health issues and has been continuously funded by NIH, the Cystic Fibrosis Foundation and other funding agencies. She has published over 200 articles and received two Lifetime Achievement Awards. 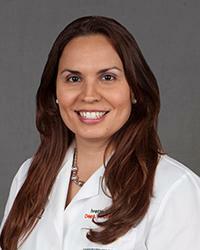 Dr. Ivette Cejas is an Associate Professor of Otolaryngology and the Director of the Pediatric Cochlear Implant Program at the University of Miami. As a licensed clinical psychologist, Cejas provides therapeutic services to children with hearing loss and their families, conducting developmental evaluations and providing supportive therapy to the children and their families before, during and post cochlear implantation. Her research includes foundation and NIH-funded grants. Over the past several years, Cejas has been published by national and international journals. Her research also includes work with the Debbie School at the UHealth Mailman Center for Child Development. She is on the Board of Directors for the Alexander Graham Bell Association for the Deaf and Hard of Hearing. Dr. Laurie Eisenberg is a Professor of Research Otolaryngology at Keck School of Medicine of the University of Southern California. 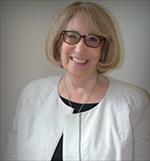 During her 41 years as a clinical and research audiologist, she has conducted a number of studies related to auditory sensory devices with emphasis on pediatric hearing loss. Eisenberg has been published by national journals, and recently published the textbook, Clinical Management of Children with Cochlear Implants(2nd Edition) . She received the 2018 American Academy of America Jerger Career Award for Research in Audiology. Hearing loss is the most common sensory deprivation in developed countries, with severe to profound hearing loss affecting 1 out of 1,000 children born in the US (Smith et al., 2005). If deafness is present before a child acquires speech and language (typically age 3), the lifetime costs exceed 1 million dollars per child, affecting approximately 60,000 children (Blanchfield et al., 2001; Mohr et al., 2000). Studies on the cost-effectiveness of cochlear implants (CIs) have been published (Mohr et al., 2000; Cheng et al., 2000; Francis et al., 2002), however a majority are more than 15 years old and do not reflect advances in newborn screening and widespread adoption of CIs for very young children. Thus, this planning grant aims to replicate the Mohr (2000) study on the lifetime costs and burden of severe to profound hearing loss and extend the Semenov analyses (2013) of children in the CDaCI (Childhood Development after Cochlear Implantation) study to estimate the cost utility of CIs out to 13-15 years post-implantation. Our dataset provides a unique opportunity to evaluate the benefits of CIs from infancy to young adulthood in a nationally representative sample. One of the hallmarks of autism is communication difficulties. This proposal studies the hearing pathways in the brain of a genetic mouse model of autism. We seek to understand how neurons in the hearing pathways and brain circuits are affected; by understanding these mechanisms we gain insight into changes in brain function and possibly focus potential treatments for people with autism. Tessa-Jonne Ropp is a Research Assistant Professor in Otolaryngology-HNS at the University of North Carolina Chapel Hill. She did her postdoctoral work with Paul Manis at UNC. She received her PhD in Biomedical Engineering from Johns Hopkins University. She also has an MS in Applied Mathematics from University of Arizona and a BA in Mathematics from College of the Holy Cross. 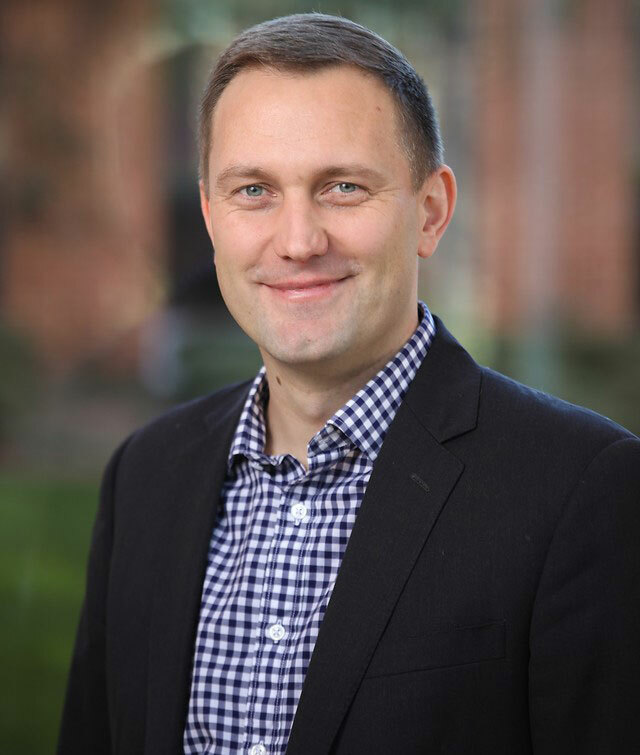 Dr. Ropp has published articles in peer-reviewed journals and has recently co-authored a chapter on age-related and noise-induced hearing loss. Communication deficits play a key role in autism spectrum disorders (ASD) and other neurodevelopmental disorders. Despite normal hearing to tones, ASD patients have difficulty in processing the complex components of sounds that compose speech and have issues with speech comprehension. Additionally, combinations of inputs from multiple sensory modalities, such as vision and speech, are processed differently in ASD patients. ASD symptoms are in part due to miswiring and changes in neuronal connectivity in cortex; one known cause of this aberrant connectivity is altered expression of specific cell adhesion molecules. This project will study the neurodevelopmental miswiring that occurs from knocking out contactin-associated protein-like 2 (CNTNAP2), a gene involved in the stabilization of dendritic spines. Our hypothesis is that the neurodevelopmental loss of CNTNAP2 results in disorganization of synaptic connections within the primary field of auditory cortex (A1), which disrupts sensory processing and underlies the phenotypic ASD behavior seen in these mice. Our goal is to 1) identify changes in connectivity within and across layers, and 2) identify changes in the tuning responses of the cells within and across laminae in A1. By understanding the neurodevelopmental changes that occur in the auditory cortex, we believe we can facilitate paths for treatment or rehabilitation. 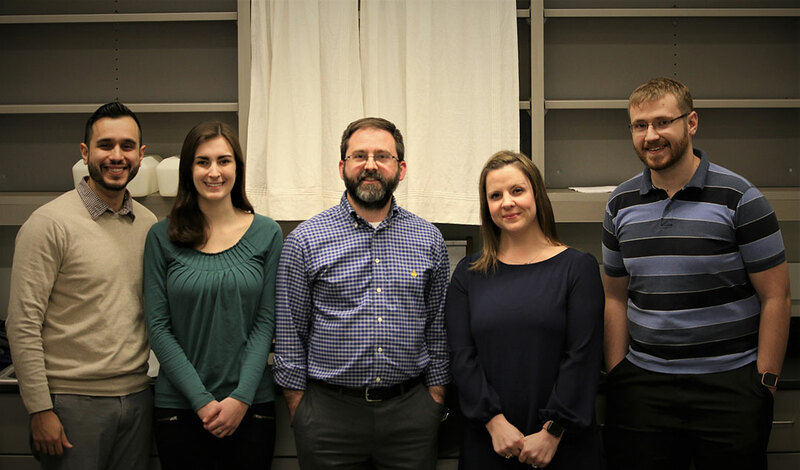 This research will examine how noise exposure causes changes to occur in a region of the brain called the inferior colliculus (IC) – specifically in a class of IC neurons that express neuropeptide Y (NPY), a small protein used for communication between neurons. 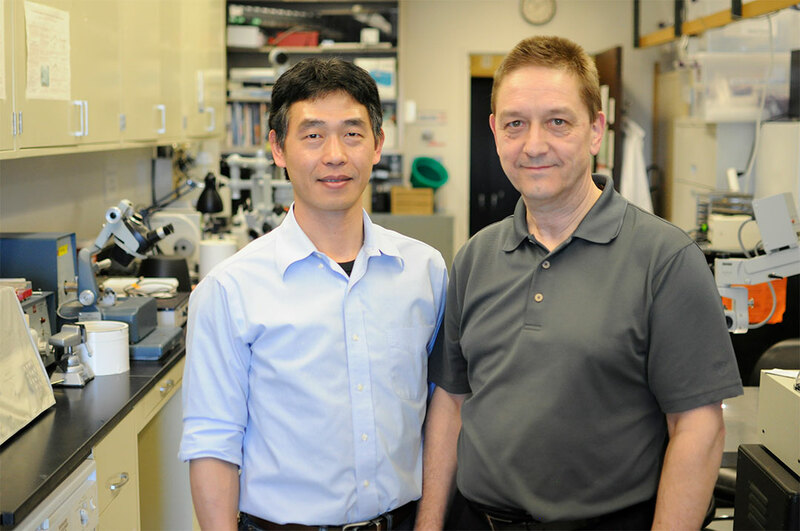 This knowledge may open up new areas of study for therapies that can protect against noise exposure and hearing loss. 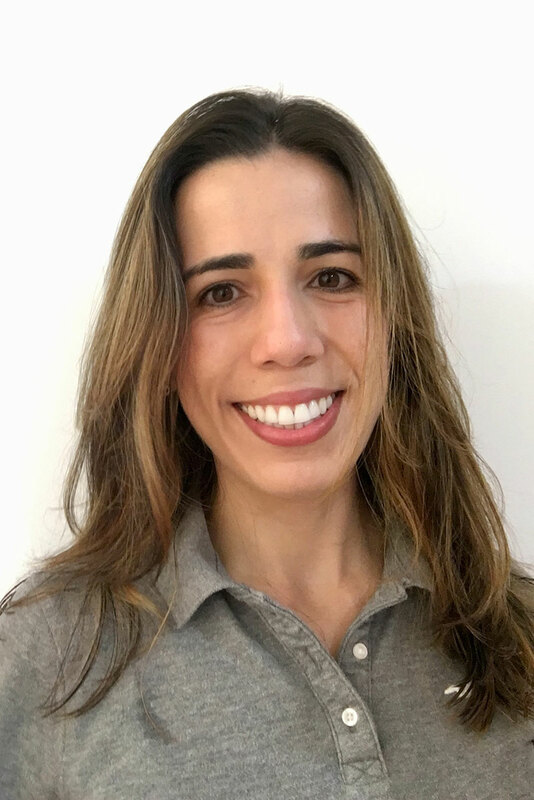 Silveira is a postdoctoral fellow at the Kresge Hearing Research Institute in the Department of Otolaryngology-Head and Neck Surgery at the University of Michigan. She is interested in understanding how neuropeptide Y signaling regulates neuronal excitability in the auditory midbrain. She received an MS in Experimental Medicine and a PhD in Neuroscience from University of São Paulo, Brazil. During her PhD, Marina had additional training at the University of Michigan. Noise-induced hearing loss is the most common preventable cause of hearing loss. The effects of noise exposure on the cochlea and peripheral auditory system are well known, but noise can also lead to changes in the activity of neurons in several brain regions, including the inferior colliculus (IC). The IC is the hub of the central auditory pathway and is an important site of plasticity following hearing loss. Changes in activity in IC neurons after noise exposure may lead to maladaptive plasticity that results in clinical conditions like tinnitus or hyperacusis. A fundamental understanding of the molecular and physiological changes that take place in the IC after noise exposure is critical to understanding when and how this maladaptive plasticity takes place. Recently, we identified a novel class of IC neurons that express neuropeptide Y (NPY), a small protein used for communication between neurons. Because NPY has a neuroprotective function in some brain areas, we hypothesized that NPY may serve a similar function in the IC. In preliminary experiments, we found that noise exposure induces a dramatic reduction in the expression of NPY receptors in the IC. It is unclear whether this reduction is adaptive or maladaptive because the effects of NPY in the IC are unknown. In our project, we will investigate how noise exposure induces changes in the expression of NPY receptors and how NPY modulates the excitability of IC neurons. The long-term goal of our research is to determine whether modulation of NPY signaling in the IC with therapeutic agents can protect against noise exposure and hearing loss. Our pilot studies have shown the multifunctional molecule honokiol has a protective effect for noise-induced hearing loss. This research will further investigate the mechanism and potential value of honokiol’s protection for clinical application. 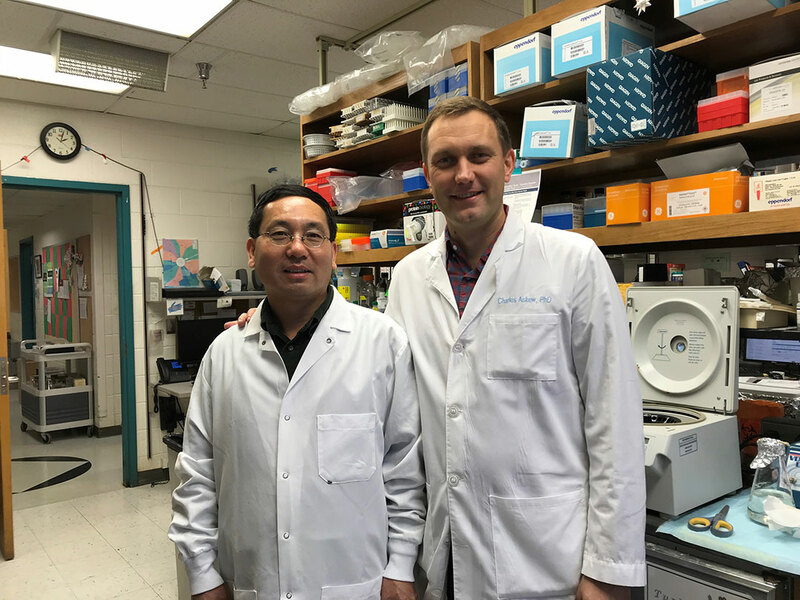 Xiaodong Tan, PhD, a research assistant professor in the Department of Otolaryngology at Northwestern University, earned his PhD degree at Creighton University and received his postdoctoral training at University of Wisconsin-Madison and Northwestern University. 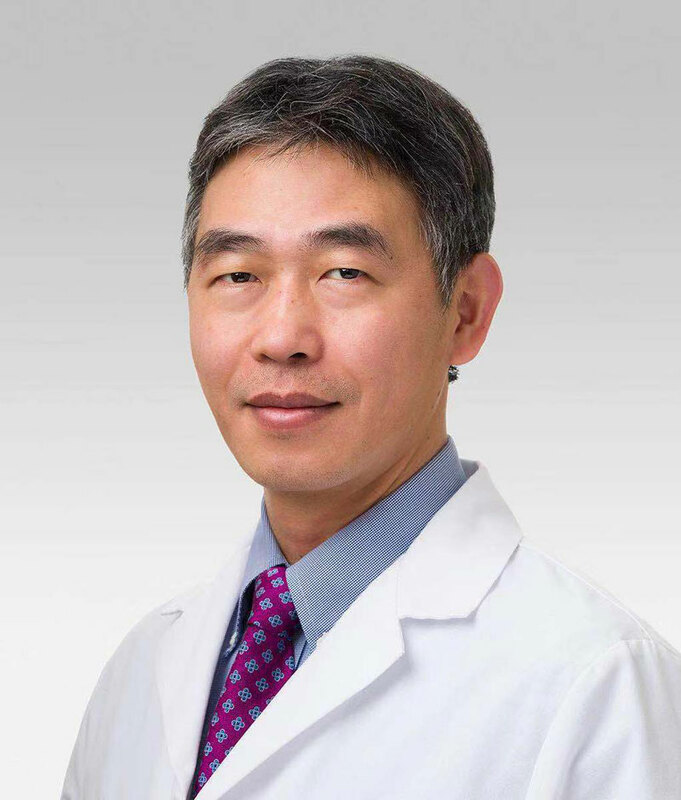 The majority of Dr. Tan’s publication is on the structural and functional evolution of prestin and the application of infrared neural stimulation in the cochlear implants. Currently, his research interest is hearing protection against multiple insults including drug, noise, and age. Noise-induced hearing loss (NIHL) is a common and often underestimated environmental and occupational threat to human health. According to the data from the World Health Organization, some 1.1 billion young individuals all over the world are at risk of hearing loss due to the unsafe use of personal audio devices. In Europe, 40% of the population is exposed to dangerous road traffic noise. In the United States, the number of people exposed to dangerous noise levels every day is 30-50 million. However, no effective way of hearing protection in NIHL is widely accepted yet. NIHL is related to irreversible loss of the sensory hair cells in our hearing organ called cochlea, and the synapses of the nerve fibers innervating the hair cells. The molecular mechanism of these damages is related to the excessive generation of free radicals called reactive oxygen species (ROS) after intense metabolic activities. Cochlear hair cells, especially outer hair cells (OHCs) are extremely sensitive to ROS. These free radicals drive the OHCs into oxidative stress and eventually trigger the programmed death called apoptosis. Antioxidant agents working as free radical scavengers may help to clean up the cellular environment and keep the health of the cells. However, various challenges have been encountered for these agents, such as cytotoxicity, poor bioavailability and limited effect in vivo. Honokiol is a multifunctional molecule extracted from herbal medicine. Studies have shown that honokiol protects various tissues and organs, such as brain, liver, kidney and heart, from oxidative stress. Moreover, honokiol is nontoxic, effective, and can penetrate through the blood-brain barrier, which strongly indicates that it can get access to the cochlea. However, honokiol has not been tested in hearing protection yet. Recently, it is shown that honokiol exerts its function through directly activating sirtuin 3 (SIRT3), a critical enzyme in mitochondria for ROS detoxification. The mitochondria in cochlear hair cells are abundant in number and are in a highly organized distribution, indicating an active metabolism and the vulnerability to ROS. In this regard, hearing protection may be the most valuable application of honokiol. In our pilot studies, the hearing protective effect of honokiol has been verified in both drug-induced hearing loss and NIHL. In this proposal, the protective effect of honokiol against NIHL will be further investigated for a complete understanding of its mechanism and potential value for its clinical application. The results will also lay the ground work for the systemic application of HNK to protect hearing from multiple insults such as drug-induced and age-related hearing loss.